Whether you dip it daily in your morning coffee, save it for special occasions, have child like excitement when its warm and fresh, or enjoy the accomplishment of frugality when you buy the “day old” a donut can improve any day. A great donut can improve a month. 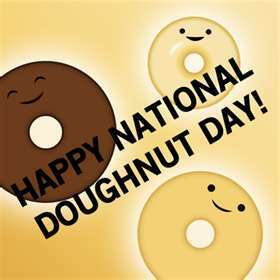 June 1st 2012 is National Donut day so make sure to honor this seldom celebrated coffee sidekick by indulging in it on its own. Whether its old favourites like chocolate dipped, or a more exotic creation such as maple bacon; this dessert is everything but ordinary. Don’t forget about the donut holes for the kids!